In one of the largest showrooms in Quebec, you'll find a huge selection of wigs and hairpieces in all sizes, including several exclusive models. Take advantage of our 40 years of experience! With Us, You Benefit from Subsidies and You Get Support! Some of our treatments may be subject to a government or private subsidy of up to $1,000 for people suffering from alopecia, cancer or a scalp condition. In addition, we offer you attractive financing solutions. Non-surgical hair replacement is simple and painless. The hairpiece is virtually undetectable, and hides any bald spots. Take advantage of our trial period for only $399 with no obligation on your part. Our team of specialists offers you effective and durable methods to fight hair loss. Schedule your consultation in a private booth today. 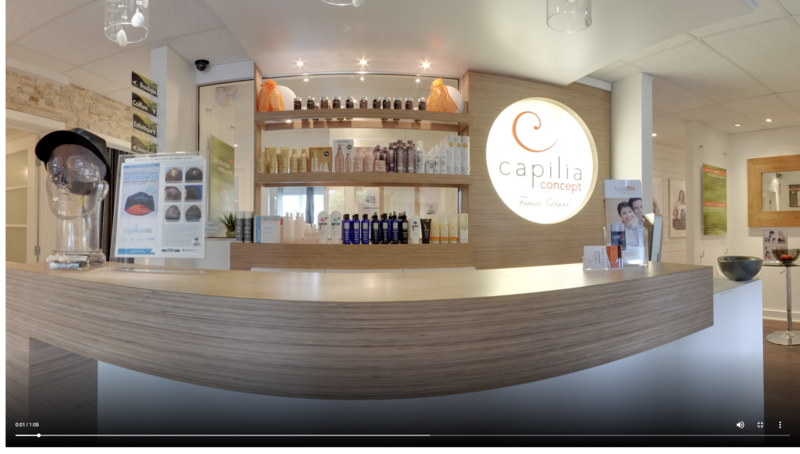 Centre Capillaire France Godard is your answer to hair loss! Whether you're struggling with scalp issues or looking for a new, natural-looking hairpiece in the Montreal area or on the North Shore, our hair experts are here to help. Rest assured that our meeting is entirely confidential and takes place in a private booth. You will meet our caring, professional specialists whose mission is help you find the best solution to your problem. A guided tour of the Centre will give you complete peace of mind! Our team uses the latest technologies to offer you long-lasting solutions to hair loss. Whether it's a hairpiece that looks so natural no one will ever see it, or a laser treatment that helps stimulate growth, we have the solution for you. Having healthy hair requires your daily attention! With proper care and a preventive screening test, you could slow down or even stop your hair loss. We rely on quality prevention products to help you do everything you can to keep your hair healthy! If you decide to get a new hairpiece, we can recycle the old one and donate it to someone with hair loss, such as a hospital patient. It's a wonderful gesture that can make a real difference!